Have a standard naming convention – Having a standard naming convention helps documents and key information be found quickly with minimum effort. Include key people from different departments – When this is done insight into how different people use documents is come to light and a more logical system can be created for all participants. 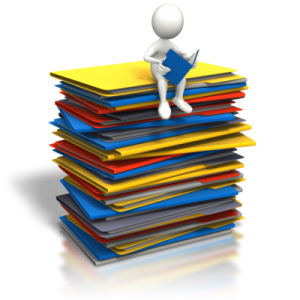 Eliminate extra files – If there are four revisions of a document from over a few years ago don’t be afraid to get rid of these files, especially if no one is using them! Define upkeep roles and a timeline – Last but not least this step is what is going to ensure the work put into creating an organized system stays organized. This timeline will define how often and who will go through the document system and make sure that previously outlined steps are followed. For example a rotating schedule where every Friday 15 minutes is spent on ensuring that there are no loose files. If you want to see some of the tools and templates that our office has compiled on 5S feel free to check them out here. 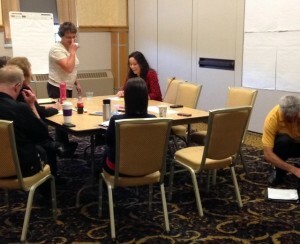 To learn more about continuous improvement at Michigan Tech visit http://www.mtu.edu/improvement/, or call (906) 487-3180. 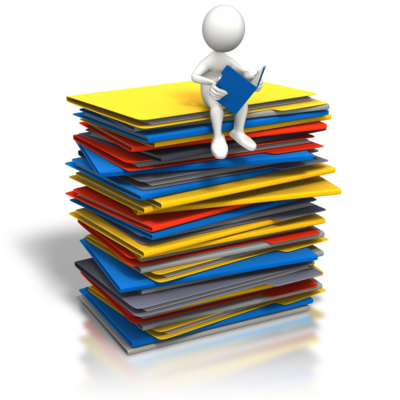 We have multiple resources for you, including a Lean lending library! I just got back from the national Society of Women Engineer’s (SWE) conference held this year in Nashville, TN. 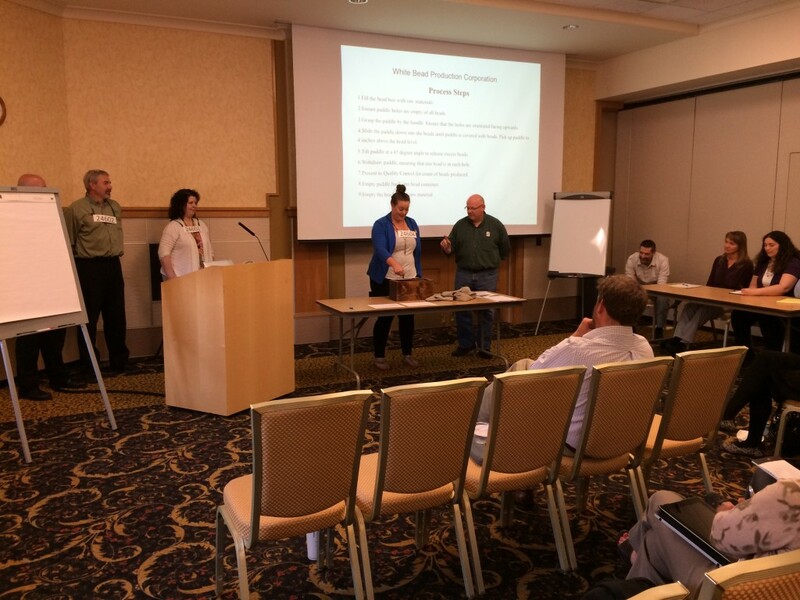 I was pleasantly surprised because there were three different sessions being held on continuous improvement. I was able to attend two of the three and really enjoyed them. The first session I went to was titled “Shark Tank! 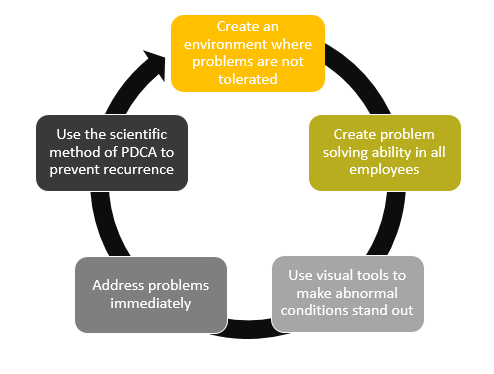 A Creative Approach to Drive Continuous Improvement” and was given by Jennifer Walsh, an Engineering Program Group Manager from Medtronic. In the talk, Ms. Walsh presented some creative approaches to continuous improvement that I thought were great. An example was by using social media to convey ongoing continuous improvement techniques that were being used around her business unit. The second session that I was able to go to was titled “The People Side of Lean” held by Kimberly Sayre, PE from the University of Kentucky’s College of Engineering. Ms. Sayre, the Lean Systems Program Manager, talked about Lean as a systematic method for eliminating waste within a process. She explained “Lean was developed at Toyota (internally called the Toyota Production System), and the People Side of Lean is a critical piece of sustainable Lean transformation. 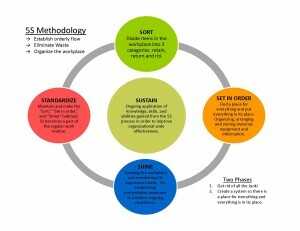 Organizations first implement the tools, improve efficiencies and eliminate waste, but then reach a plateau until they are able to gain full employee buy-in.” Ms. Sayre went on to explain this “natural struggle point” in getting improvement throughout the whole system. This talk helped me navigate through this phase of my Lean journey, and she even included a hands-on exercise about communication skills. I especially loved how she was from an academic setting and saw how this could relate to Michigan Tech’s campus. The last session that talked about Lean was held by Claribel Mateo, the HR Director at Turner Construction Company. Her talk, entitled “Using Technology to Build Better Buildings through Efficiency and Visualization,” talked about how Turner implements BIM (Building Information Modeling) and Lean Construction principles and practices on projects from early design to construction, to enable the project team to drastically reduce field requests for information and change orders while enhancing quality and compressing construction schedules. Overall I had a great time at the conference and look forward to implementing what I learned back here in Houghton, as well as in my life after graduation. This week, we were fortunate to have Jean Cunningham present a workshop on understanding Lean concepts using hands-on simulations. The fun activities demonstrated some of the key elements of Lean: pull and flow, value add, set-up reduction and workplace organization. During the activities, Jean asked us several times “What did you observe? What did you see?” At the beginning of the workshop, we tended to respond with our conclusions or assumptions based on our observations. It took some prodding from Jean to get us to start reporting what we actually saw, but by the end of the workshop, we finally got it. Before: The pin person is careless. After: Some pins fell on the floor. Before: There’s a bottleneck at the welder. After: There’s a lot of product waiting for the welder. Before: The supervisor has too much to do. After: While the supervisor was in meetings, no product was moving in the factory. Why is it important to differentiate between observations and conclusions? Because we often make a subconscious leap to these conclusions without considering all of the possibilities, and then we form our solution based on that poorly considered conclusion. Reprimand the pin person vs. altering the work surface to prevent pins from rolling off. Adding a second welder vs. redesigning the process to level the work load. Take responsibilities away from the supervisor (and express your disappointment!) vs. adjusting decision making to the appropriate level to free the supervisor for higher-level decisions. 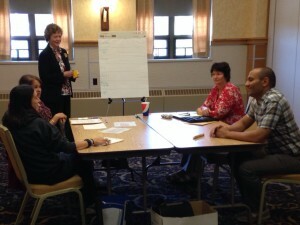 The workshop participants had a good time and learned more about Lean and continuous improvement. Jean Cunningham is principal of Jean Cunningham Consulting, which provides lean business management services including workshops, kaizen events and strategic coaching. She speaks at Lean conferences and teaches Lean Accounting for the Ohio State University Master of Business Operational Excellence Program. Jean is widely recognized for her pioneering work in Lean Accounting, IT, HR and other non-production functions (Lean Business Management, The Lean Office). She is the co-author of Real Numbers (Lean Accounting) and Easier, Simpler, Faster (Lean IT), which won the 2004 and 2008 Shingo Prize for Research respectively. Jean was previously the CFO at Lantech Inc. and Marshfield Door Systems and the voluntary CFO for the Association of Manufacturing Excellence. She has a BS in Accounting from Indiana University and an MBA from Northeastern University’s Executive Program. The workshop was partially funded by the Visiting Women & Minority Lecturer/Scholar Series (VWMLS) which is funded by a grant to the Office of Institutional Equity from the State of Michigan’s King-Chavez-Parks Initiative. On Tuesday, June 9th, Michigan Tech had the privilege of experiencing Dr. W. Edward Deming’s Red Bead Experiment which was presented by Michigan State University’s Jim Manley. Jim is the Managing Director of the Demmer Center for Business Transformation at Michigan State and was able to experience the Red Bead Experiment delivered by Dr. Deming himself in the 1980’s. The Red Bead Experiment is a training tool that Dr. Deming used to teach his 14 Obligations of Management. The exercise is used as a tool to bring people together and to get past the emotional aspects of discussing problems. Jim began the exercise by asking for four Willing Workers. He then asked for two Quality Assurance workers, one Quality Assurance Supervisor, and one Recorder. (I was lucky enough to be chosen as a Willing Worker.) Once all roles had been assigned, Jim gave everyone their tasks. 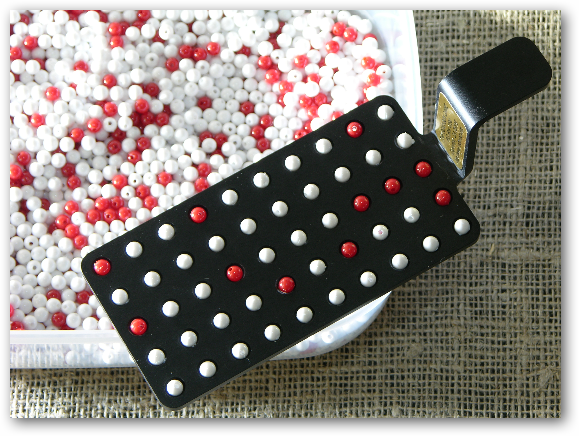 The Willing Workers were to scoop up white beads from a box using a specialized, custom bead paddle (see the picture below). They were to scoop one time and must try to fill all the holes in the paddle with white beads. Once they have scooped and filled the paddle completely, they were to bring the full paddle to the Quality Assurance workers. 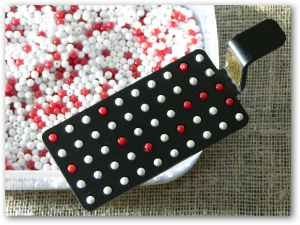 The goal is for each Willing Worker to fill the paddle completely with only white beads (zero defects). The Quality Assurance workers then counted the number of defects (red beads) and recorded them on a pad of paper. The Quality Assurance Supervisor announced the number of defects loudly so that all employees could hear. The Recorder wrote down the number of defects for each worker on a white board. Simple right? Well, not so much. What Jim failed to tell the Willing Workers was the box was full of not only white beads, but also red beads (it appeared to be a 50/50 split of red and white beads). So while the Willing Workers tried their best to only scoop out white beads, it was nearly impossible to have zero defects. It didn’t help that the CEO (Jim) didn’t know any of the Willing Workers names (he referred to us as numbers) or ask us how things were going. All he cared about was results. Jim tried to improve things by implementing a “Worker of the Week” certificate. He also began an incentive program where the worker who was able to meet the zero defect goal would win a cash prize and a Starbucks gift card. He even increased the goal of zero defects to 1 defect. Do you think any of these changes helped? Not a chance! After several rounds of the Willing Workers attempting to scoop only white beads, Jim had some bad news. Due to the Willing Workers creating so many defects and not enough of the finished product, he had to let two Willing Workers go. Now there were only two Willing Workers left, which meant they had to pick up all the slack. As you can imagine, the last two Willing Workers weren’t able to meet the zero defect goal, causing the company to go belly up. So what was the point of the exercise? The biggest take away for me was the fact that leaders need to understand the system before making any changes. Meaning Jim needed to go to the Gemba, talk to the Willing Workers, and find out from them what the problem was. If he did this, he would have found out that it is impossible to scoop only white beads when the box is half full of red beads. He would have received suggestions for improvement from the Willing Workers and would have been able to generate the results he was after. When a leader shows the employees he/she cares about what the employee has to say, it can make all the difference in the world. I thought the Red Bead Experiment was a fabulous exercise. I would recommend it to anyone regardless of how familiar they are with Continuous Improvement topics. If you have any questions or would like to know more about the Red Bead Experiment, email us at improvement@mtu.edu. The Office of Continuous Improvement is hosting another workshop. This time the topic is visual management. Visual management is where information is communicated by using visual signals instead of texts or other written instructions. The design allows for quick recognition of the information being communicated in order to increase efficiency and clarity. Visual controls also make problems, abnormalities, or deviations from standards visible so corrective action can take place immediately. The visual management workshop will take place Tuesday, March 24th and Wednesday, March 25th. For more information or to sign up, visit the improvement website. 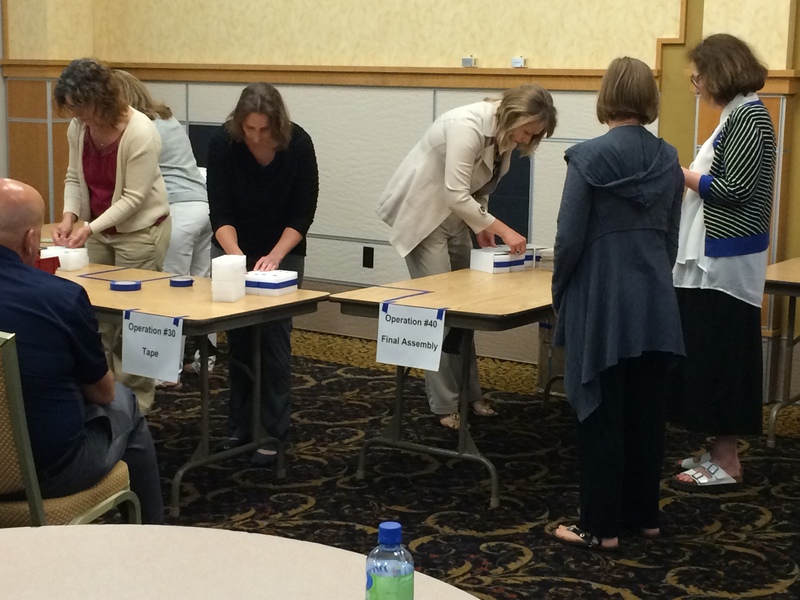 The Office of Continuous Improvement’s first ever Process Mapping Workshop came to a close yesterday. 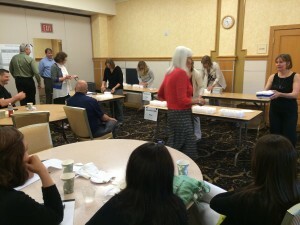 There were five Kaizen teams each working on a process of their choosing. Each team spent 2.5 hours on Tuesday and again on Thursday working on a current-state process map using a lean tool know as “swim lanes.” The groups reported out on Thursday afternoon with each map taking on its own unique form. Our facilitating group was made up of Ernie Beutler (Dining Services), Kathy Wardynski (Dining Services), Laura Harry (Memorial Union), Ruth Archer (Office of Continuous Improvement), and Theresa Coleman-Kaiser (Asst. Vice President for Administration). Our team leaders consisted of faculty and staff from a few different areas of the university: Gina Dunstan (Humanities), Madeline Mercado-Voelker (Human Resources), Heidi Reid (Human Resources), Kathy Wardynski (Dining Services), and Sandra Kalcich (Dining Services). Our team leaders and facilitators were very excited to see and be a part of the process of process mapping, and were shocked to see just how complicated some of these Tech jobs really are. All in all, it was a great two days of mapping and we hope to see some fresh faces at our next workshop. More details on that coming soon! The Office of Continuous Improvement has begun a Lean Workshop series on campus. Thus far in the series we’ve held a 5S workshop, and another one is ready for you to sign up. The Office and the Lean Facilitators are working hard to plan regularly scheduled workshops throughout the year. The next event in the series will be on Process Mapping. Process Mapping is a way to define the purpose of a process, who is responsible for each step, to what standard a business process should be completed, and how success can be determined. The workshop will take about 6 hours total on June 10th and June 12th. You can choose blocks of time that are convenient for you. For more information you can visit the Process Mapping Workshop page. Sign-up closes on Friday, May 23rd., because the facilitators need time to plan.